Statement ceiling and pendant lights are great for creating atmosphere and mood in the home. 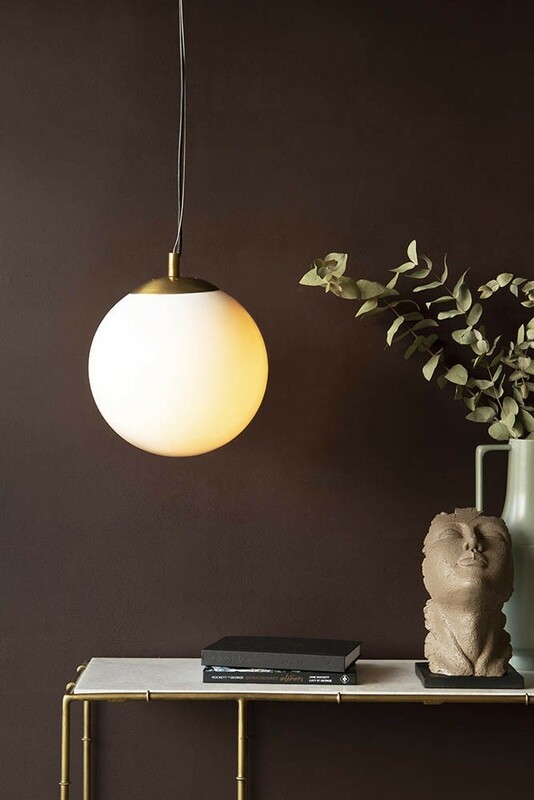 The Atlas White Glass Globe Pendant Light is perfect for this. 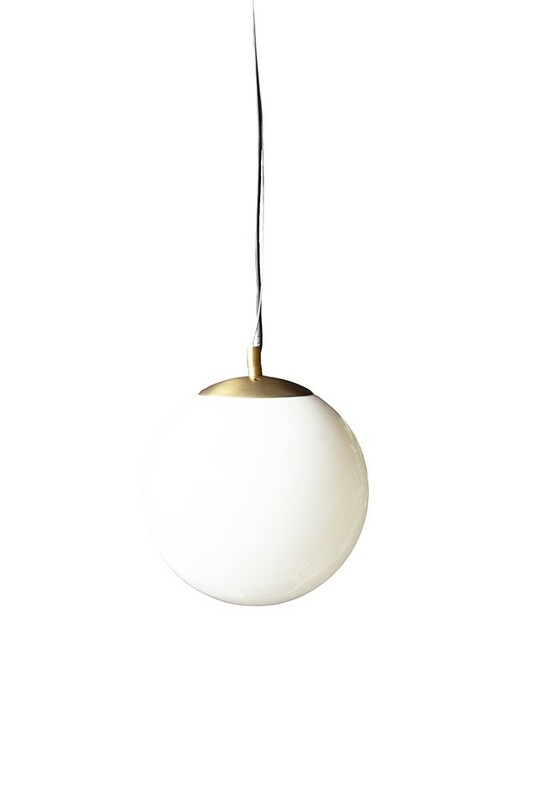 The Atlas Globe Pendant Light features a white glass shade with stylish brass fitting and black flex and brass ceiling rose. Part of our new Grand Simplicity Lighting the contemporary style circular shade wall light is a piece where beauty and art meets function. 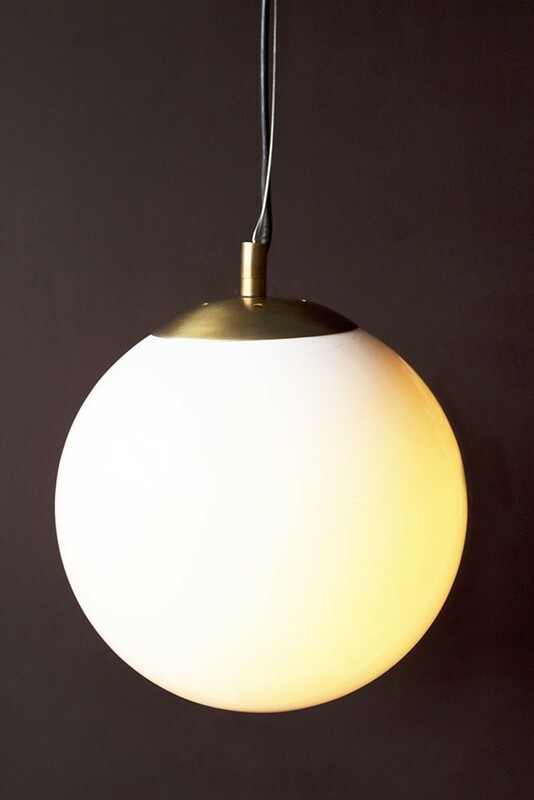 The Glass Globe Ceiling Light has a diameter of 30cm. 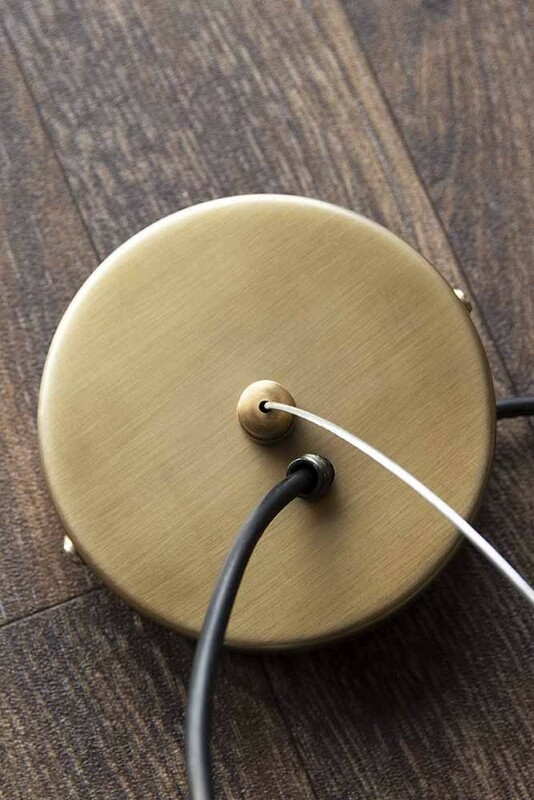 Please note, that this pendant light is handmade and will have the expected imperfections. The light is also heavy and fragile and so please take care when installing. We recommend hiring a fully qualified electrician to install this pendant ceiling light for you. 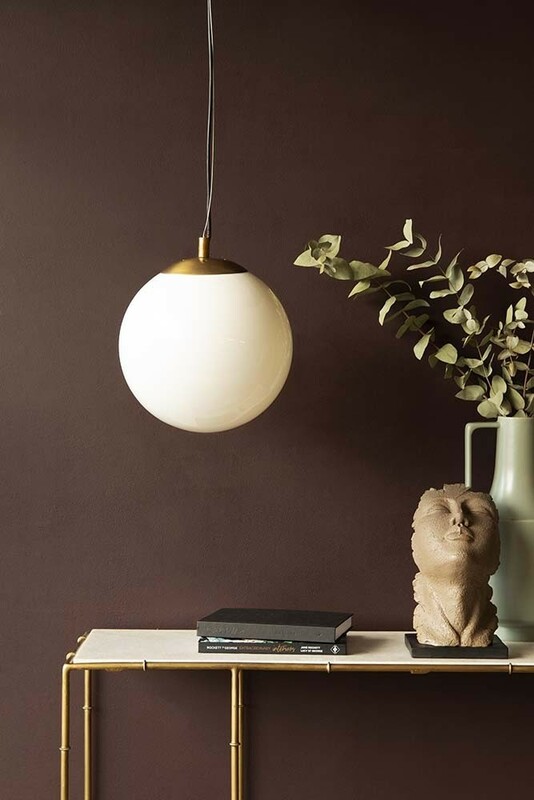 Elegant, grand and yet strikingly simple we designed this Globe Ceiling Light to complement and add a touch of sophistication to your interiors. The Atlas White Glass Ceiling Light is part of our new collection of table lights, wall lights and ceiling lights. Jane and Lucy’s goal was to curate statement lighting that would also flow beautifully with your interiors. No matter what your style! 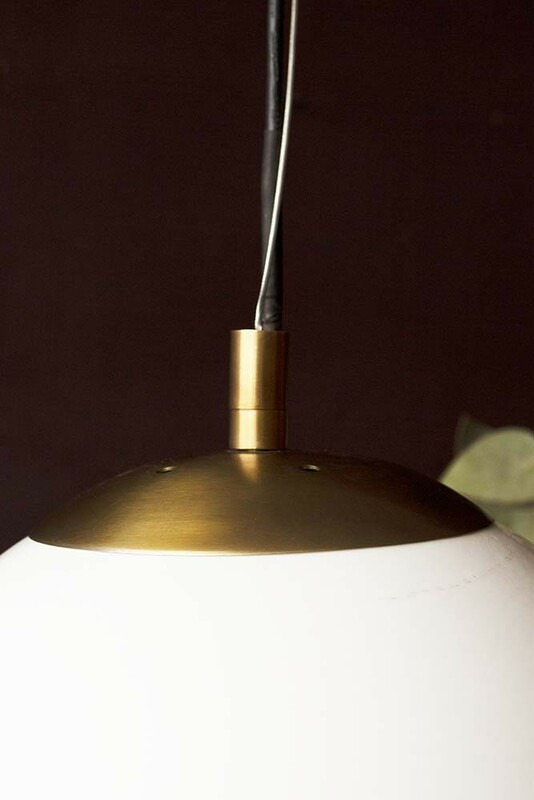 A traditional Atlas ceiling light with a modern update we think that the Atlas Globe Ceiling Light will look particularly striking hung in a row of three over your kitchen island or dining table. Fit a dimmer switch into your electrics and you’ll create a gorgeous softening light in your home.